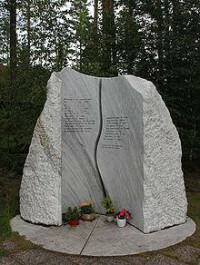 The Åsta accident was a railway accident that occurred at 13:12:25 on 4 January 2000 at Åsta in Åmot, south of Rena in Østerdalen, Norway. A train from Trondheim collided with a local train from Hamar on the Røros Line, resulting in an explosive fire. 19 people were killed, while 67 survived the accident.